Eastern Tech High School Coach Shawn McElfish watched his team pick up a win in the 2004 regionals and do it in grand fashion, according to The Northeast Booster Reporter. Down 5-4, Eastern Tech exploded for nine runs in the sixth inning to go on to a 13-5 win, The Booster Reporter wrote. "You have to bring your 'A' game for seven innings or it's a long day," McElfish told The Booster Reporter. McElfish has had to do that as a coach. He's also had to do that in his day job - as a police officer for Baltimore County. He's done both after a brief career in the pros as a player. McElfish's brief playing career began in 1988, signed by the Indians as a free agent out of Mount Carmel High School in his native Maryland. McElfish is also credited by his nickname, Spike McElfish. McElfish played his first season in the rookie Gulf Coast League. The hurler got into 12 games in relief, with a 5.50 ERA. 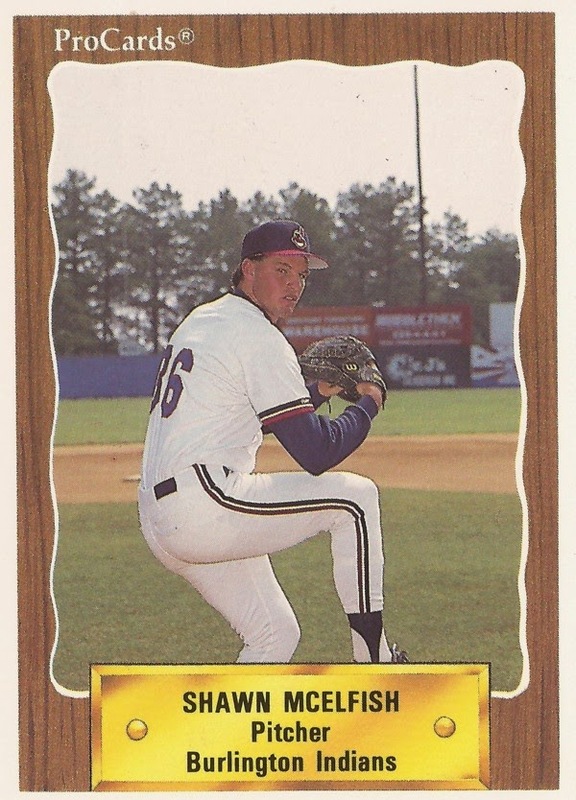 He returned to the GCL for 1989, getting 27 relief outings and posting a 2.78 ERA. He played 1990 at rookie Burlington. In 19 outings, he had a 2.53 ERA. It was his final year as a pro. McElfish then went on to a career in law enforcement. He also has found time to coach. McElfish has spent much of his time as a police officer for Baltimore County. In one 2007 case, McElfish arrived on the scene of a traffic stop and recovered a gun that had been discarded, according to an appeals court ruling. The gun conviction stood. He took over the Eastern Tech varsity team in 2003, after coaching the JV team for four seasons. He continues as head coach in 2015.